Online Registration for Summer Semester NOW OPEN! 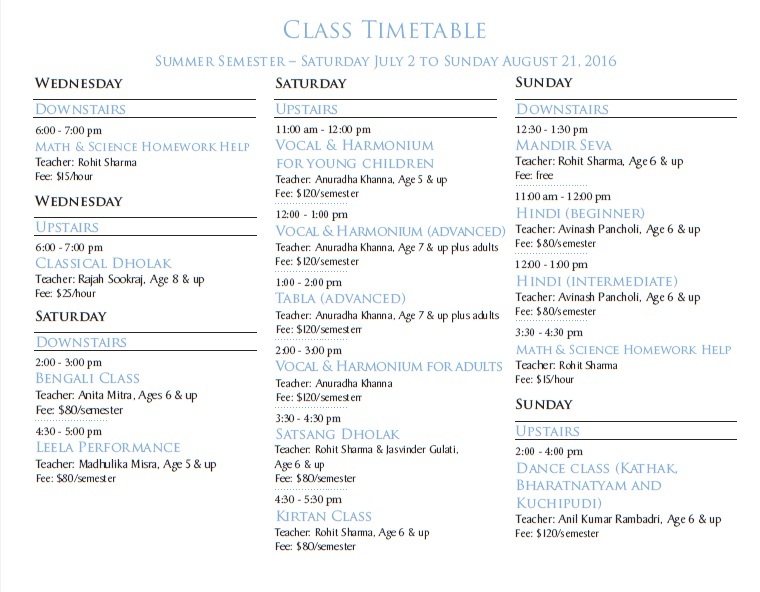 Intro | Classes | Teachers | Calendar | Questions | REGISTER ONLINE BELOW! During the Spring Semester 2016, Shiksha New York will be offering 10 classes as described in the classes section. We encourage students to register for as many classes as they want. 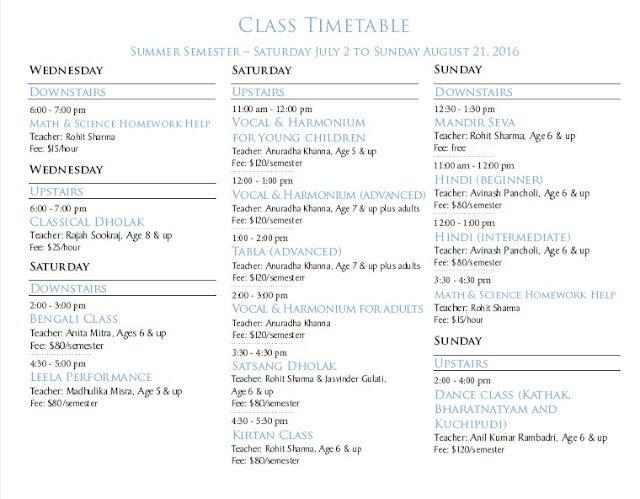 Please refer to classes page and Shiksha handbook. Register for classes online here and make your payment online at the end of the registration process. After registering, you will receive a confirmation email. To ensure efficient use of teachers’ time, each class will have a minimum student requirement that will need to be met for that class to be offered during the semester. If you are interested in a particular class, please contact family and friends and encourage them to register as well. Similarly, classes will have a maximum student limit to ensure teacher can give proper attention to each student. Students will be placed in classes on a first come, first served basis. Please register as soon as you can to ensure successful admission to the classes of your choice. 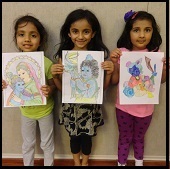 Note: Please register in person at the Radha Govind Dham NY office to avail of any discounts. Otherwise register online. Please select the classes of your interest. If you are only selecting one or two classes, please leave the rest blank. After registering, a copy of your order will be sent to the email address you provided. Please contact info@RGDNY.org if you have any issues with the registration process.